﻿ Borja Consulting Group – We help people build relationships to increase sales ! We help people build relationships to increase sales ! Hi, I’m Jairo want to hire me to speak at your next event? Everyone knows sales requires building relationships and building them fast. Do you want to be the person who has to prevent the door from being slammed in your face or do you want to be welcomed like a VIP guest? As a keynote speaker with expertise in building relationships to increase sales, Dr. Jairo Borja has helped businesses or organizations master the techniques that require to build relationships to increase sales and help the bottom line. 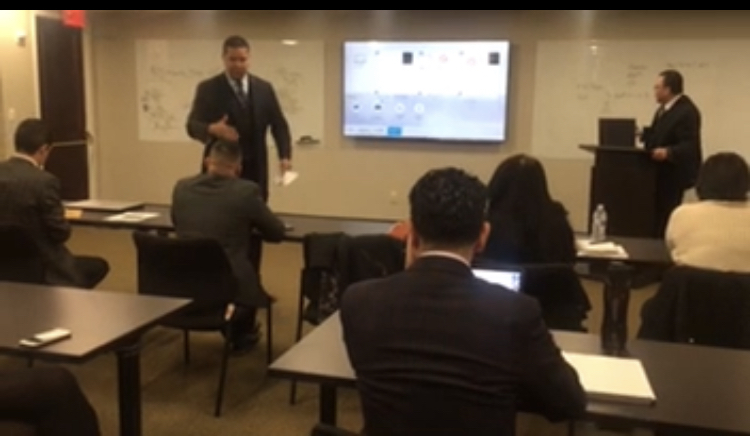 Our approach at Borja Consulting Group is to help people build relationships to increase sales through Jairo speaking on topics such as prospecting, time management, the psychology behind closing the deal, volunteering professionally and mastering the networking event. Dr. Jairo Borja is proud to have grown up in Corona, Queens, NY. He graduated from Thomas Edison High School. Jairo also graduated from Berkeley College with a BBA in Management in 2003, MBA from Long Island University in 2007 and in March of 2019, graduated with his DBA in Marketing from Walden University. Jairo also have taught at Professional Business College (now LIBI) from 2009-2014. He has taught Small Business Management, Business Organization and Management, Principles of Marketing, Human Resources Mangement to name a few courses. in 2017, he also taught Leadership and Sales & Customer Service at Berkeley College. Jairo has the experience needed to speak to your staff about your business needs. Did you know Jairo loves Football and Baseball!